“produce a ‘day in the life’ exploration of Veterans Day 2011, finding and incorporating the most compelling stories about veterans into a unique presentation about the experience of men and women who have devoted a portion of their lives to serve their country in times of both war and peace.” a lot of really great storytellers i’ve worked with are taking part. the piece will have both video and still photography. to learn more check out their web site. so this is where you come in… calling all ideas – do you know of a vet or a group of verterans doing their own memorial – their own thing? someone remembering this day in their own way? i know there are “official” events happening – but i’m hoping for something out of the ordinary, personal or unique. this year’s veterans day has a special meaning for me. this year i have a chance not only to remember those who have proudly served our country, but to also, in a small way, pay a tribute to my dad. 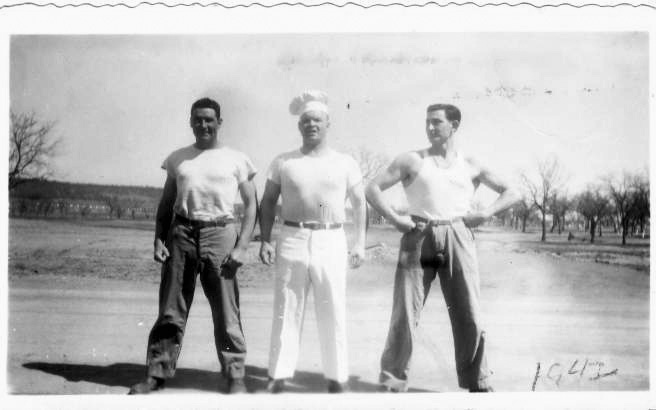 that's my dad on the right... in boot camp with a couple of friends. dad served in the “big” war, World War II. After the attack on Pearl Habor he joined the army. he was stationed overseas in the Philippines & was a scout for his platoon. one early morning, right before his discharge, his life (and my family’s) changed forever… my dad was scouting in the jungle and was pinned down by a couple of japanese machine gun nests. the soldiers continued to shoot him until he was able to roll into a small ditch. dad almost died. 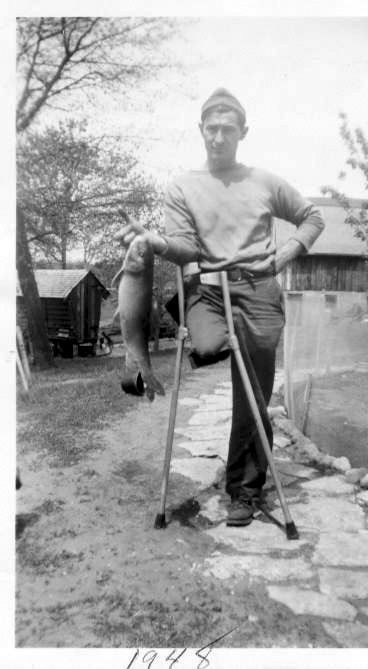 he lost his leg that day – spent weeks in a coma. my dad trying to return to a "normal" life after the war. he loved to fish. dad lived out the rest of his life as a proud disabled veteran, husband & father of 3.
on 11.11.11 i’m hoping to bring a special story to the project. if you have a special veteran in your life, let me know. i’d love to create something we can all be proud of.